Free printable employee of the month certificate in six different colors with your company logo. 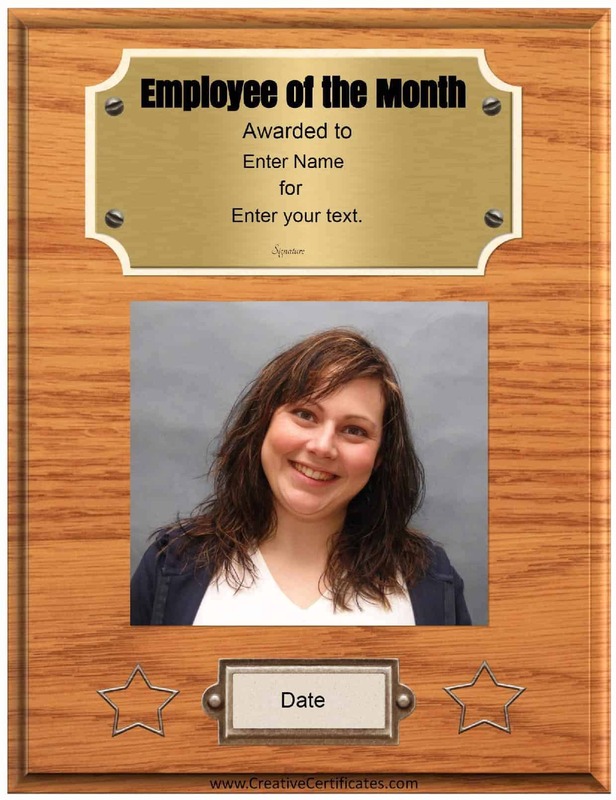 All of the text can be edited if you would like to change the wording. 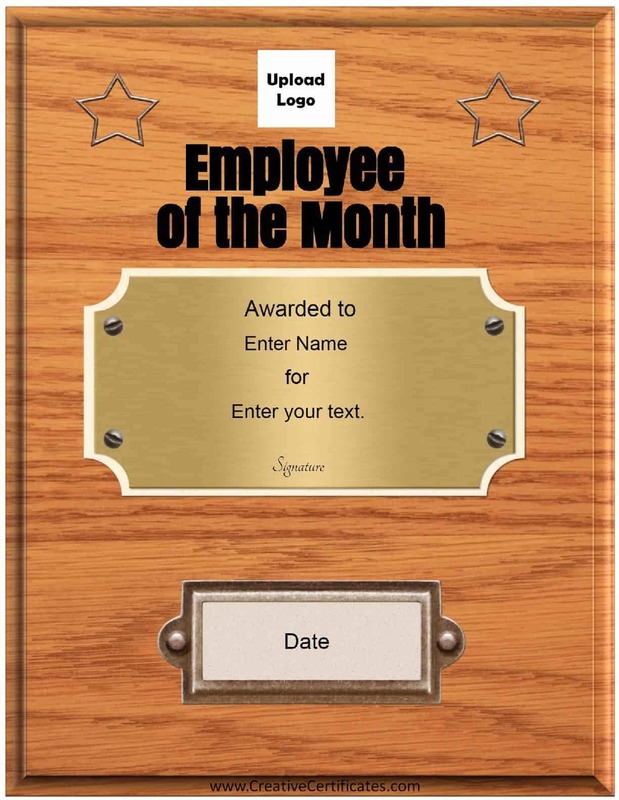 If you want to add your company name or any other text just click on the “A” to add any text that you want. 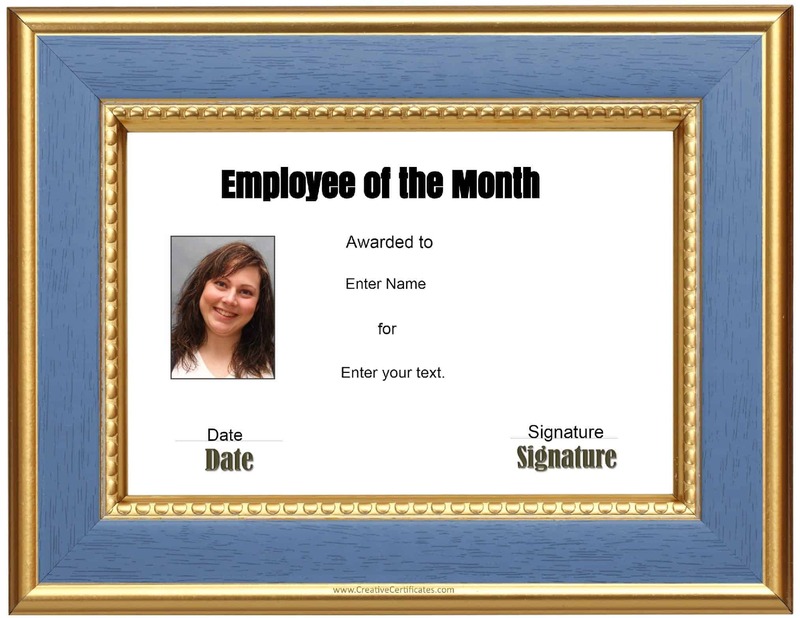 You can move it around to appear wherever you want. 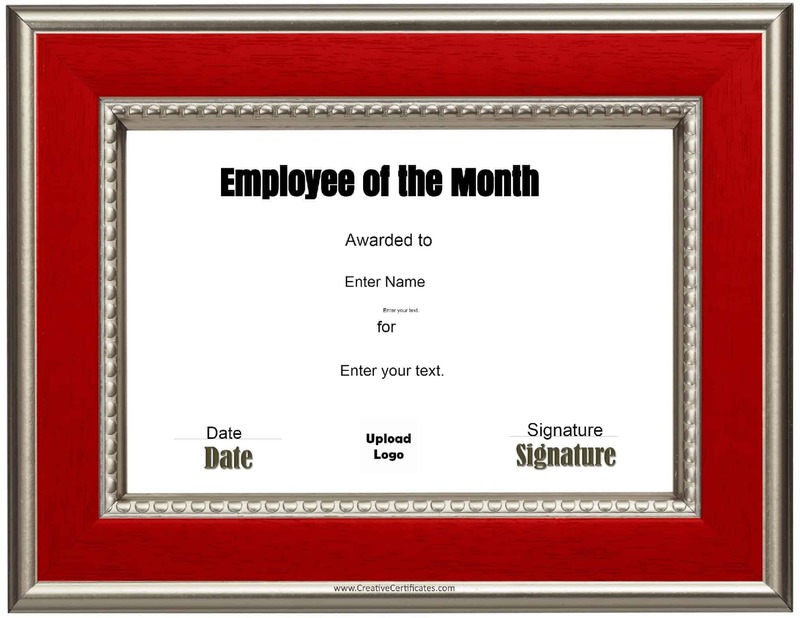 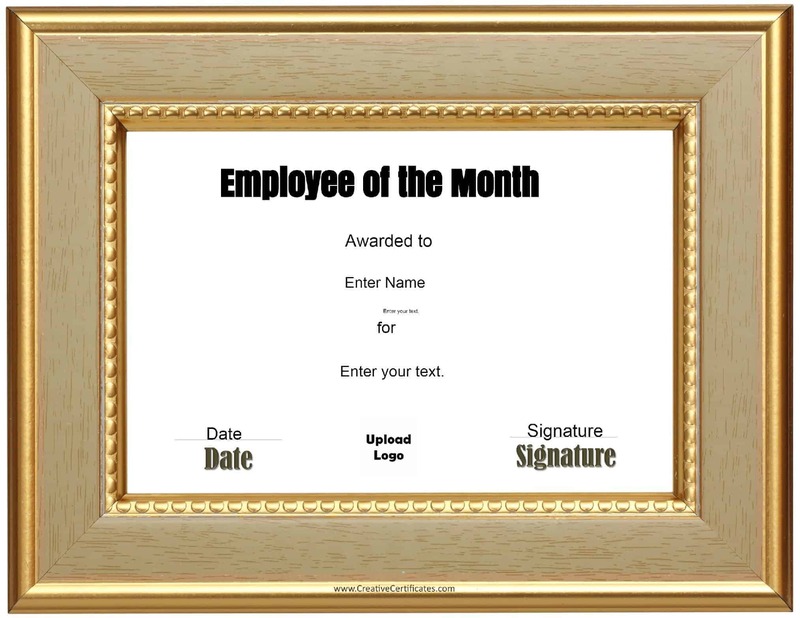 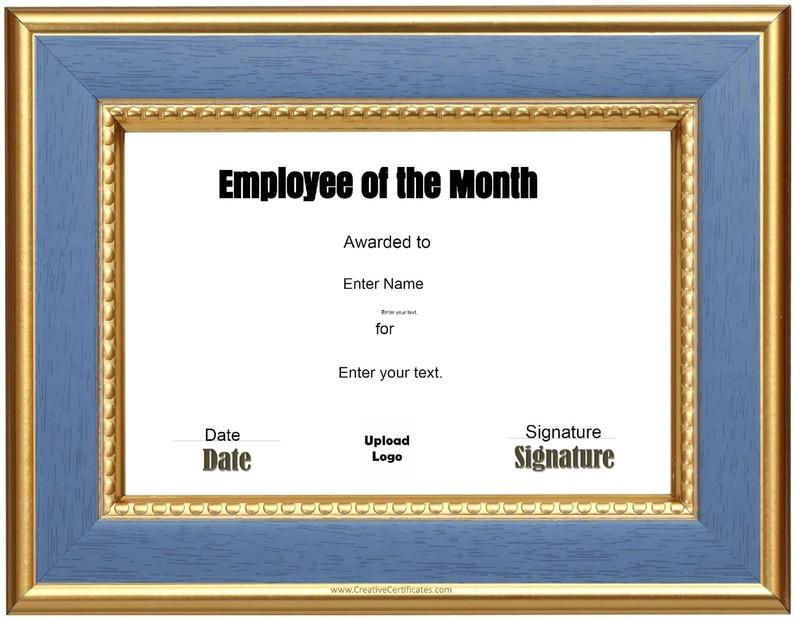 We also offer an employee of the month template with a plaque design that can be printed on paper or cardstock. There are two versions – with the employee’s photo and without a photo. Since all text can be changed, you can use these certificates for any purpose such as employee of the week, employee of the year, staff of the month certificate or even any unrelated award. 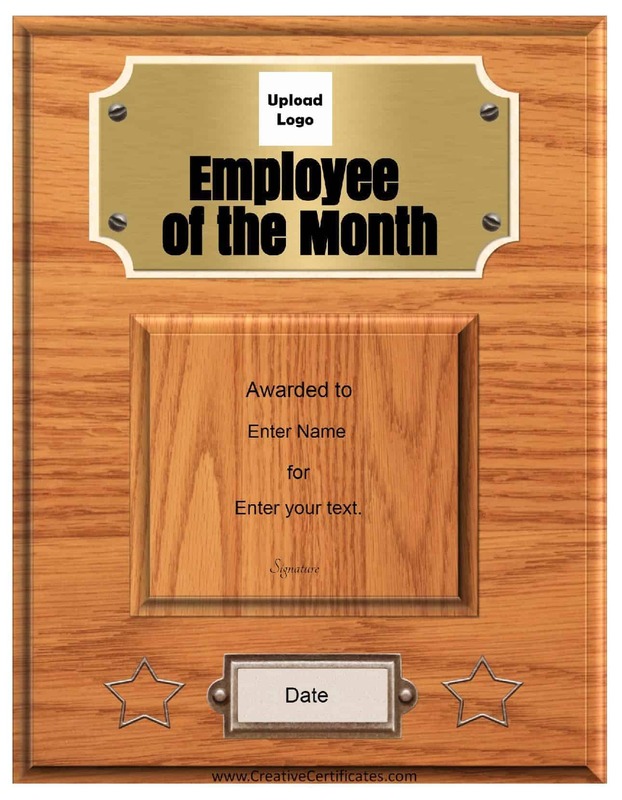 Edit all of the text. If you selected a template design with a photo then upload the photo. 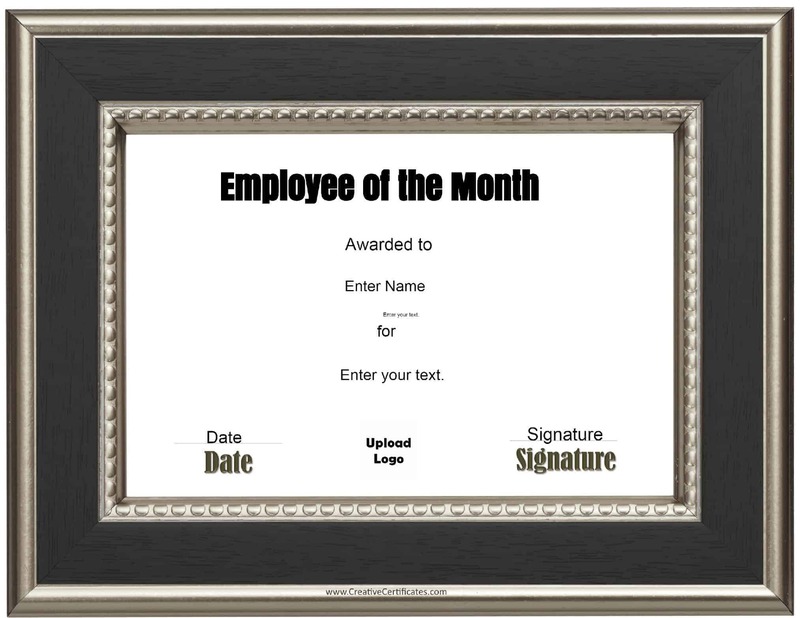 Download as a PDF file (the page icon).